An interesting trend we’re seeing more and more often of late… As our tagline states, we’re about ‘Simplifying Business & Technology’ – though not to be confused with ‘minimising’. I’m sure you can agree than almost every business relies on some sort of IT System to operate. Granted, some rely on IT very little, however many would simply cease to function without it. So why is it that the ‘budget’ for IT spending within Small Business is becoming less and less? Why do I need to Upgrade/Maintain my IT? Not only are we in a throw-away society, the rate in which IT systems are devloped and surpass older systems has never been higher. Software is continually being updated to offer new features, to accomplish tasks quicker and to simplify our day-to-day processes. As this software (accounting packages, Microsoft Office, specialist database applications, etc.) grows with both the abilities it offers as well as the data it stores and manages, hardware is required to support it. We’re talking faster processors, more and faster RAM/memory, bigger and faster Hard Drives. Further more, computer users are multitasking in order to work more efficiently, therefore multiple software programs are usually running at once. Take a moment to thing about our own bodies… We are constantly in a state of growth both physically (Hardware) as well as mentally (Software). We exercise to upgrade or maintain our physical bodies, as well as to support our mental wellbeing – our ability to develop relationships, experience exciting new things. And from time to time, we take time out for ourselves to ‘reboot’ or ‘recharge’. This down time is simply maintenance to ensure we’re operating efficiently and don’t become overloaded and burn out. Understand that your Computer Systems are no different. Granted, they don’t necessarily need to ‘sleep’, however they most certainly require maintenance and upgrades to ensure they continue to perform optimally. So as we rely so heavily on Technology in our Businesses especially, does it not make sense to give it the attention it quite often misses? There’s no golden rule here for how much to spend or budget for as every business is a little different and our reliance on IT varies. However I will say this, with or without maintenance, IT Systems will breakdown. With efficient monitoring and maintenance however, many failures can and are prevented. The difference is zero or minimal downtime as opposed to days or weeks. Do you know how long your business can function without IT? 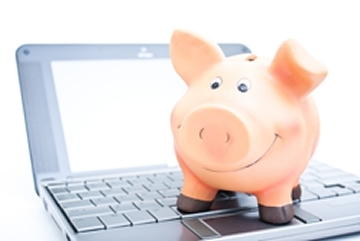 Your spend on IT Systems and upgrades is an investment…an asset, it should make you money! Your spend on monitoring and maintenance is an insurance policy – and very likely the most utilised and effective insurance policy you will ever hold. Understand the importance of IT within your business, your disaster recovery plan or backup strategy should something fail; now consider how much you’re investing in to your IT systems compared with other areas of your business. We encourage our clients to ask questions and understand as much of their systems as they like. Many of course don’t particularly care, however it’s not about knowning how it all works, it’s about understanding and appreciating what’s required in order to keep it all working.